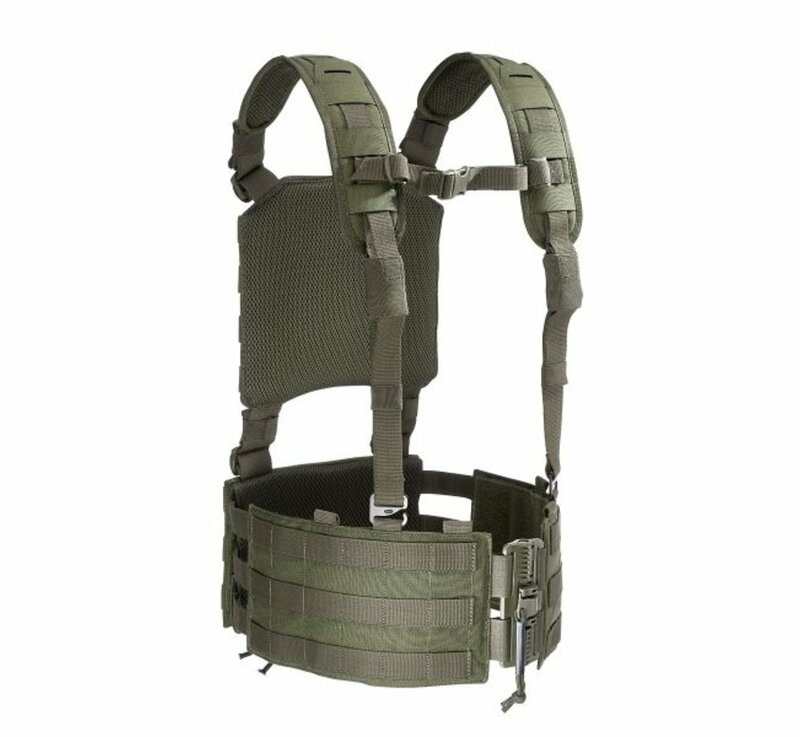 Tasmanian Tiger Modular Rig (Olive). 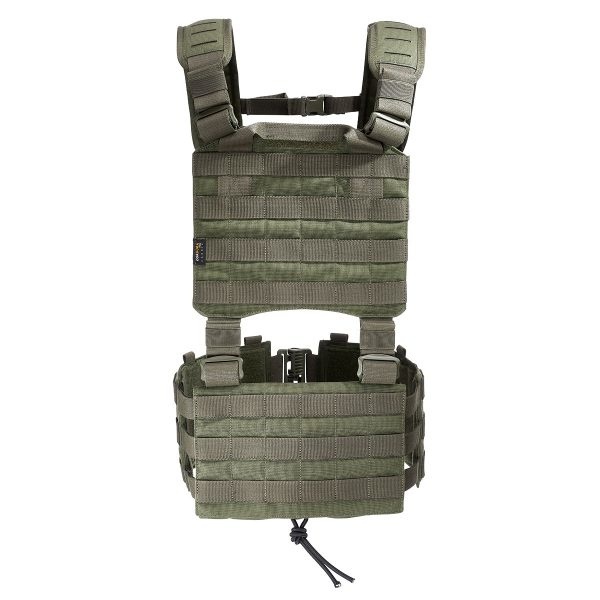 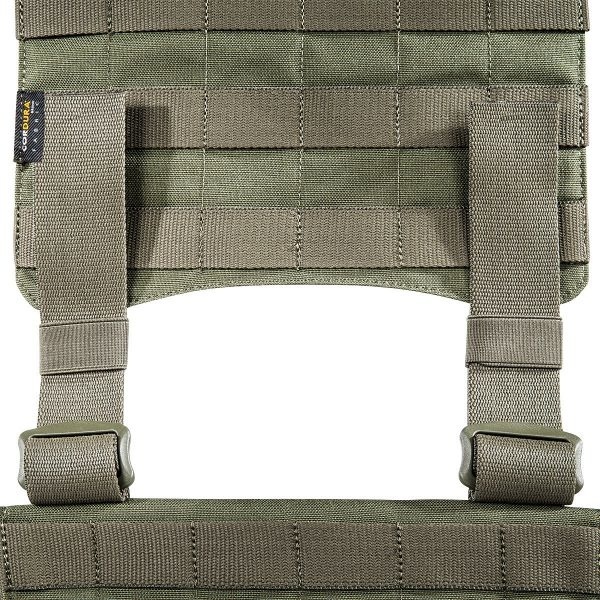 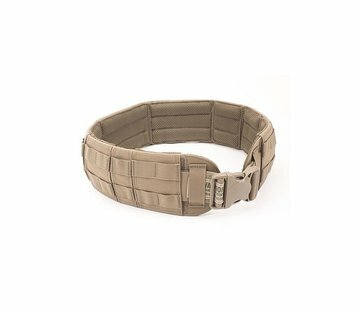 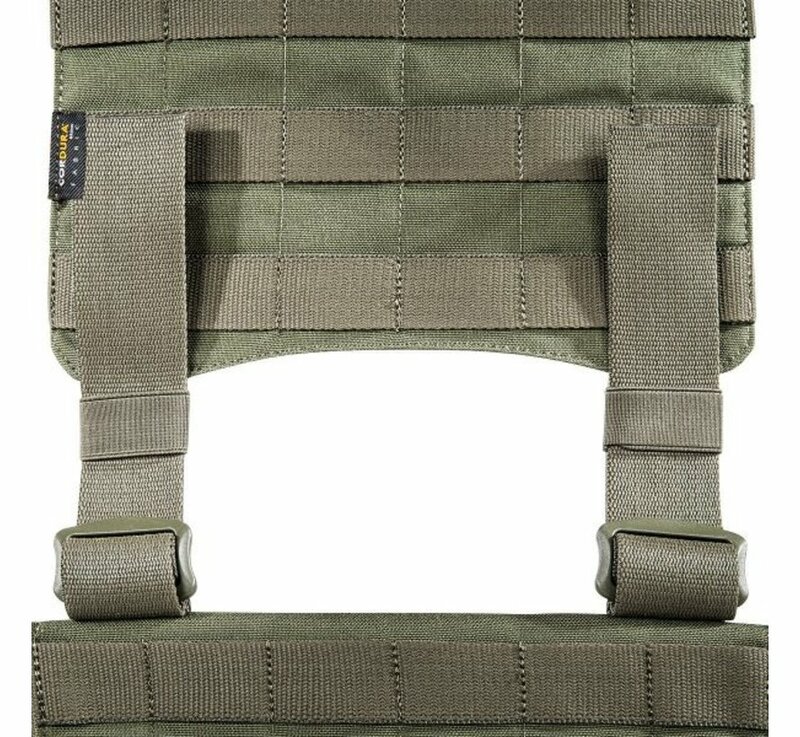 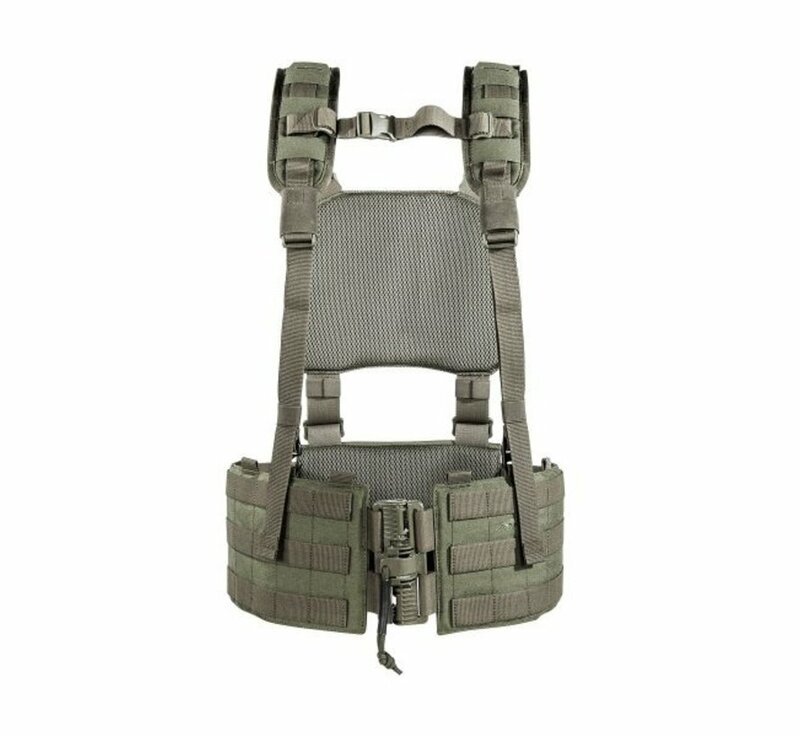 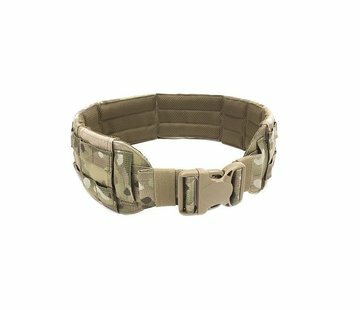 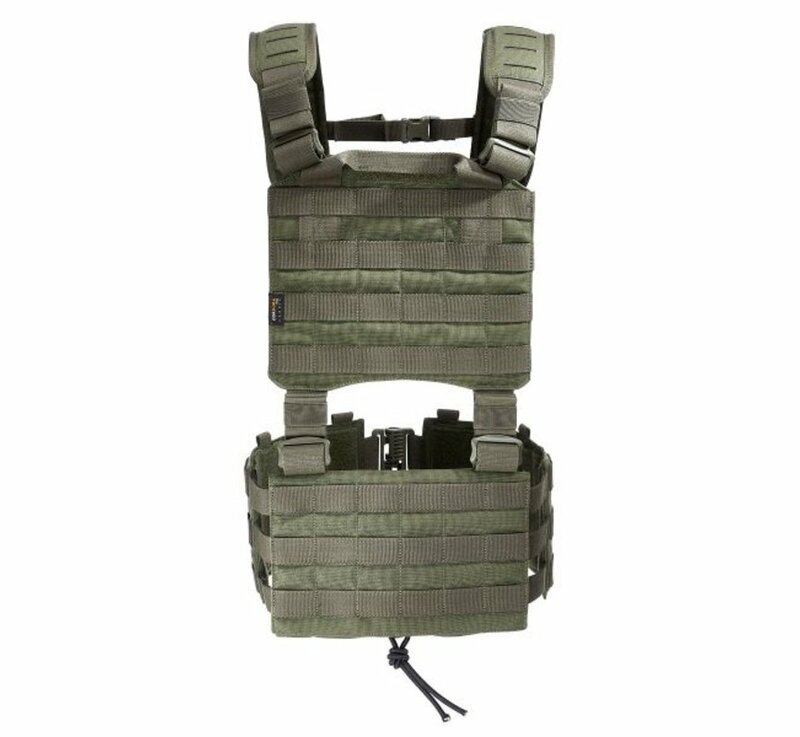 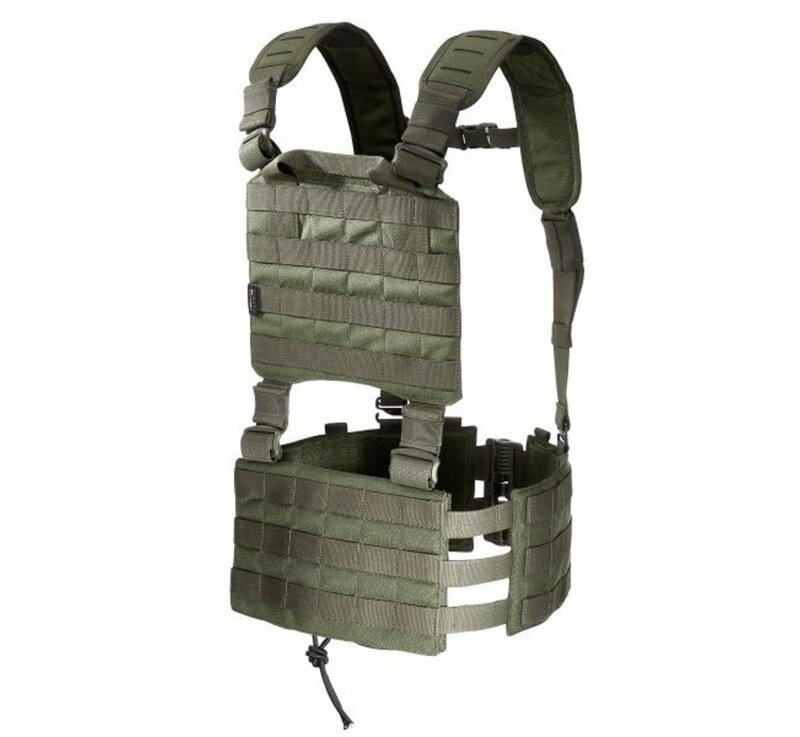 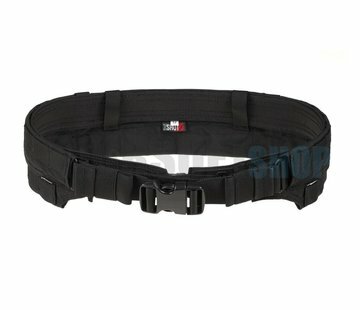 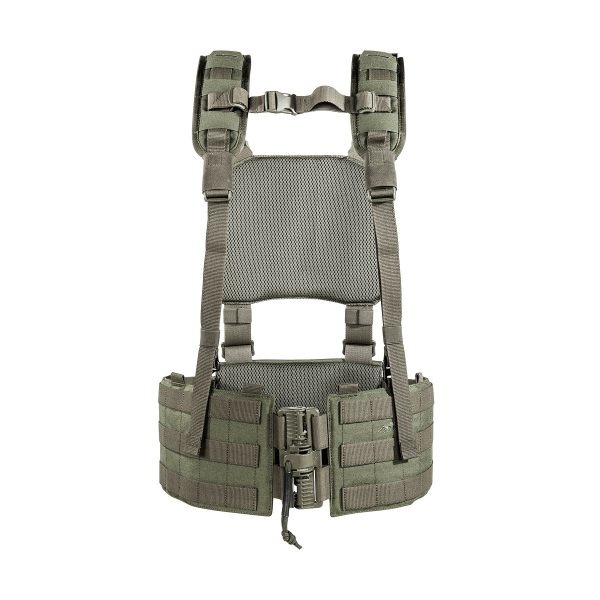 Simple harness for use under or over plate carriers. 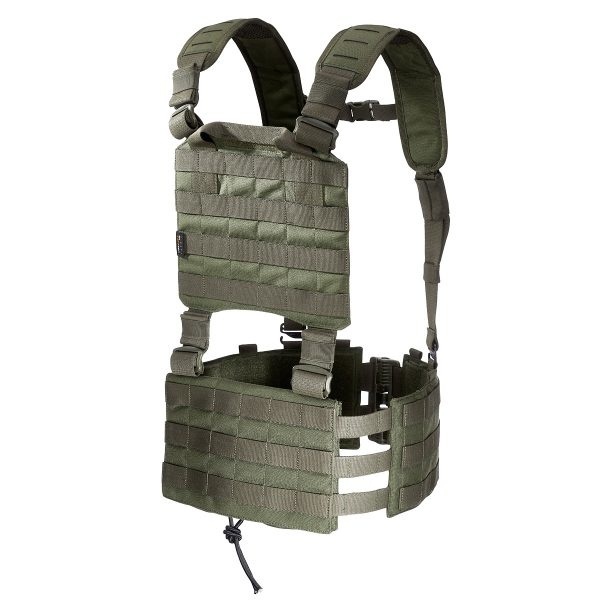 The TT Modular Rig is specially suited for use in hot regions. 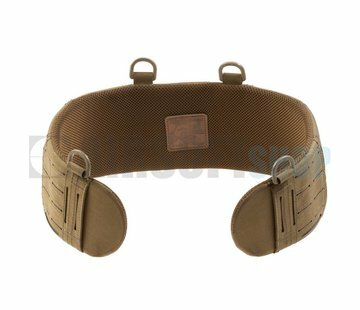 Width adjustable with a covered elastic band on the back section.